How about a Mexican spin on an Italian classic? 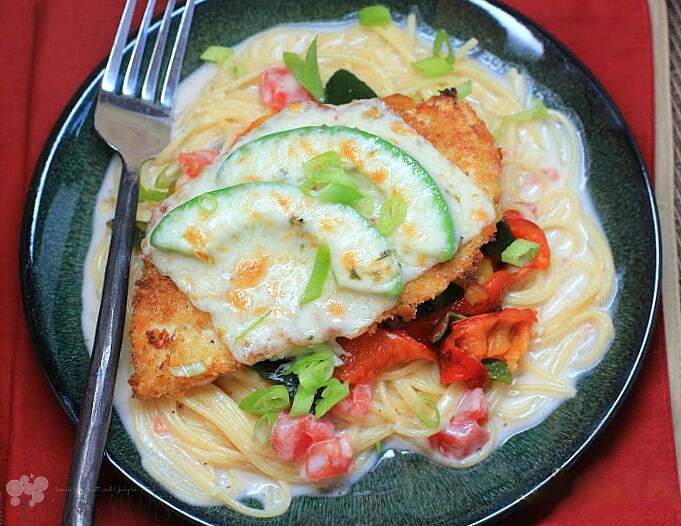 With creamy spaghetti, cheese, and even avocado, Mexicali Chicken Parmesan will be a hit with your family. Truth be told, I was really just looking for an excuse to fry up some cutlets, one of my favorite things to eat. This is insane it’s so good. I took an old pasta recipe I’ve made for years using Rotel and cream of mushroom soup, and completely made it over, ditching the soup and adding roasted peppers, into a dish I would be proud to serve anyone. Heat oven broiler. Put a large pot of water to boil. Put the peppers under the broiler, turning every couple minutes until charred and roasted (note that the poblanos will cook faster then the bell peppers). Transfer to a ziploc bag to steam. 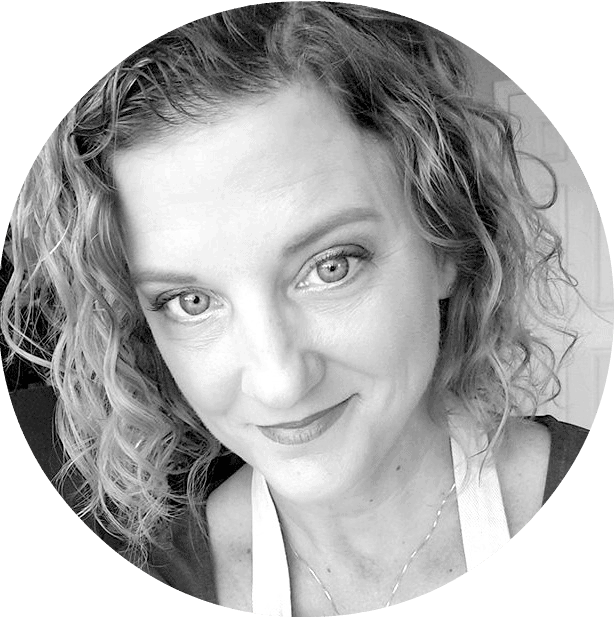 While peppers are cooking, set up a dredging station for the chicken cutlets: one dish with flour, one with egg wash (the egg beaten lightly with 2 T water), and one dish with the crackers, Panko crumbs, and parmesan combined. Season the chicken with salt and pepper. Heat the olive oil in a large cast iron skillet or nonstick skillet on medium-high heat using enough oil to coat the pan with ~1/4-in depth (that was 1/3 c in my pan). When well-heated (a drop of water added sizzles), prepare the chicken: One by one, take a seasoned cutlet, dredge in flour (shaking off the excess), dip in egg wash, and coat in the cracker mixture. Add to the skillet and cook 3-4 minutes, flipping once, until browned. Remove the chicken to a baking sheet. For the pasta sauce, heat the flour and butter in a medium saucepan, whisking to combine. When it starts to bubble, cook 1 minute, then slowly add the milk whisking constantly. Cook 3-4 minutes, stirring, until slightly thickened, remove from the heat and add the cheese and seasonings. Whisk until cheese is melted and sauce is smooth. Add the drained Rotel and 2 T of the reserved Rotel juice. Place back on medium-low heat while the spaghetti cooks. Stir often. Add the spaghetti to the pot of water to cook along with a palmful of salt. Cook to al dente. Drain and put back in the pot. Add the Rotel-cheese sauce and mix (this will thicken as it cools). While pasta is cooking, take the peppers from the ziploc bag and remove the stems, seeds, and the blackened skins. Chop into bite-sized pieces. 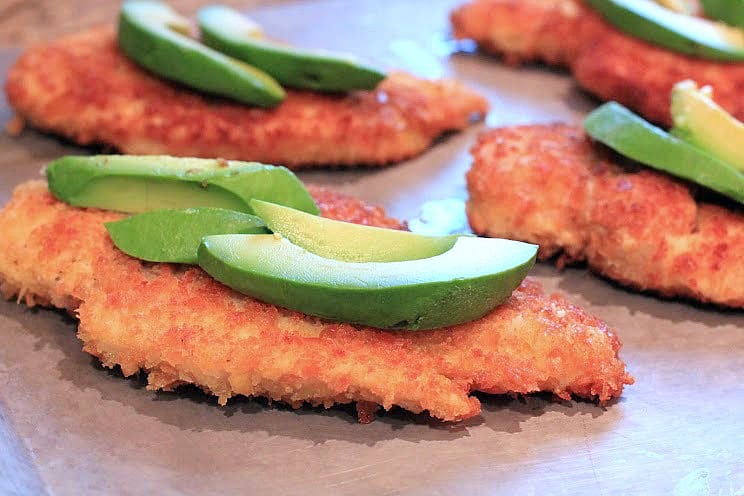 To finish the chicken, top each cutlet with avocado slices, then a slice of pepper-jack cheese. Put under the broiler 1 minute or so until cheese melts. 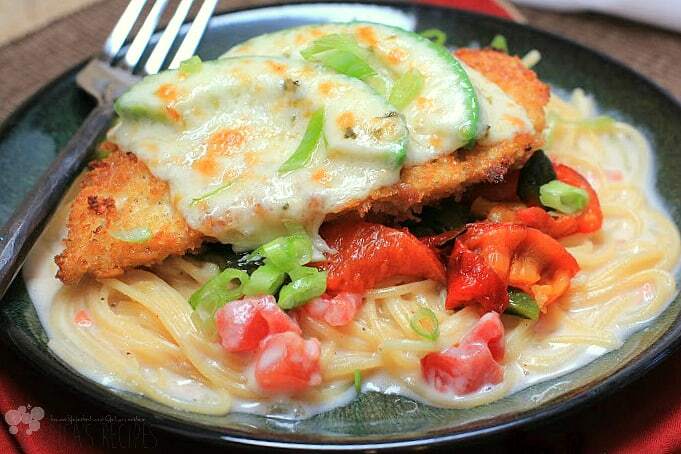 To serve, place a serving of pasta on the plate. Top with a layer of roasted peppers, then with a piece of chicken. Garnish with green onion. Serves 4.
looks pretty delicious! Specially that creamy pasta bed! This looks amazing. 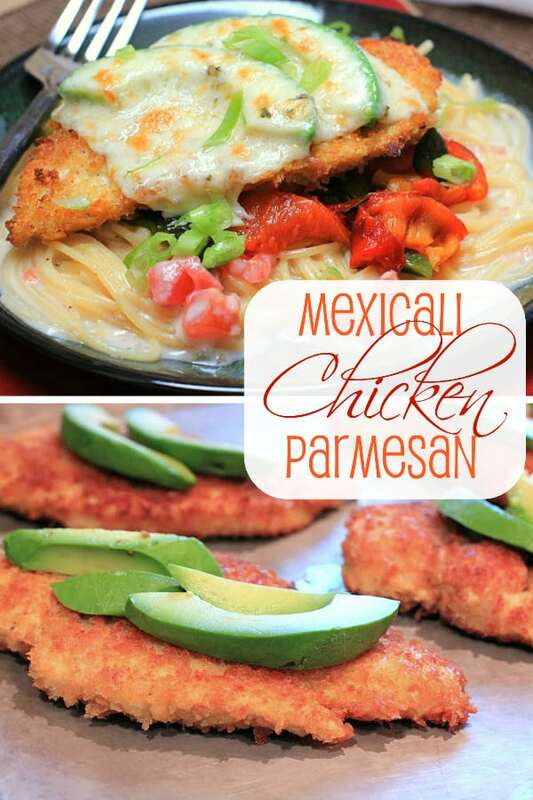 I love Chicken Parm and Mexican–so creative! !